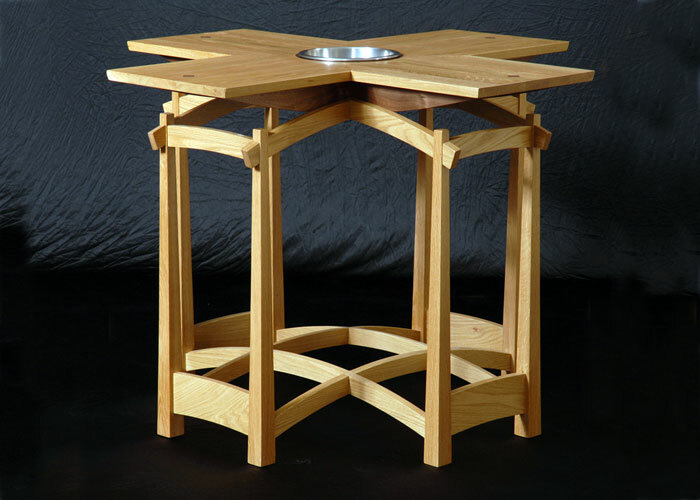 This table was designed and built to go in front of the sanctuary at a local church. The table is in the shape of a cross with a baptismal bowl in the center. There are 4 inlaid veneer diamonds, one at the end of each arm of the cross. 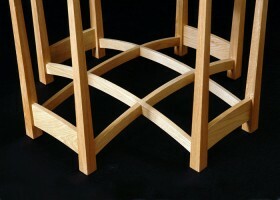 There is also an inlaid ring in the center of the table which holds the baptismal bowl. The top is made of weighty thick planks and is very plain, I did this because the cross can speak for itself; it doesn’t need to be dressed up. The intricate framework underneath however was designed to elevate and display the cross as a ring setting displays a diamond. 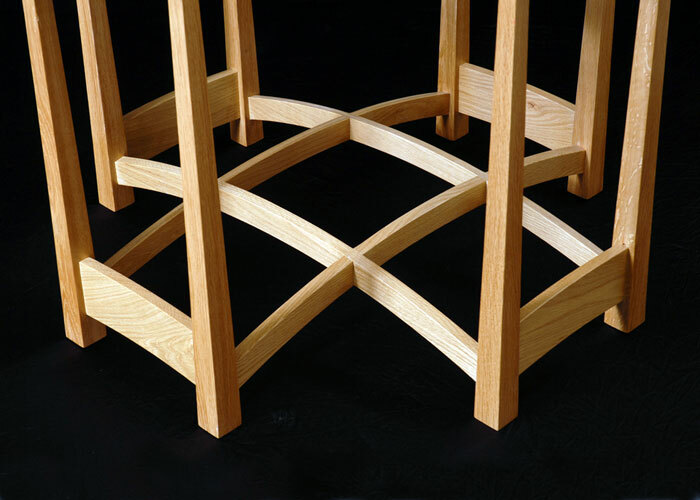 The two arched interlocking grids underneath give the table its strength and at the same time act as a nice design feature. I stopped the reverse taper legs several inches from the bottom of the table top to give the actual top more of a dominant appearance. 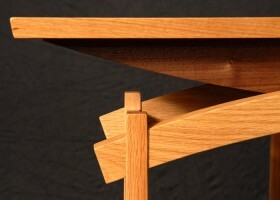 This table also won a national competition for Fine Woodworking Magazine Online. You can read about it here.